Halloween became a ten day long celebration this year. Evy and Brandon's costumes sure got a workout. 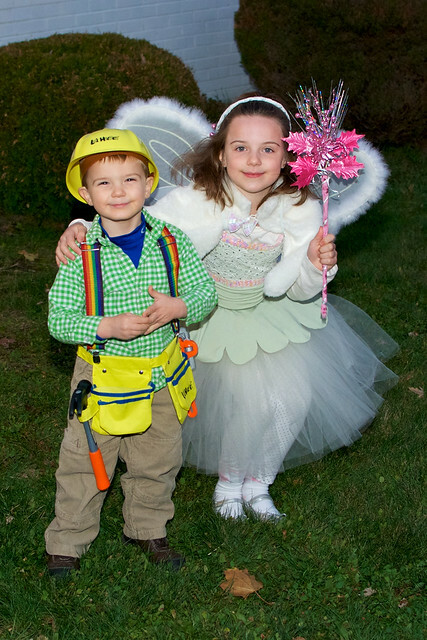 The kids were able to get dressed up for dance class, the library, the school parade, a friend's party and two different (postponed until November 3rd) neighborhood trick-or-treat sessions. More pictures from extended Halloween are on Flickr.